System Hygiene Traffic Film Remover with Polish is a powerful pressure washer additive designed to remove traffic film and leave a protective shine. The chemical has a controlled foam level, ensuring a finish which is free from rinsing, whilst still maintaining excellent degreasing properties. It is suitable for the removal of traffic film, grease and dirt from all makes of cars, vans, lorries, curtain sided and commercial vehicles. It is also ideally suited to the regular cleaning of prestigious fleets to preserve their appearance. Suitable for all vehicle cleaning. Designed for use through a pressure washer. Controlled foam solution preventing any excess foam from occuring. 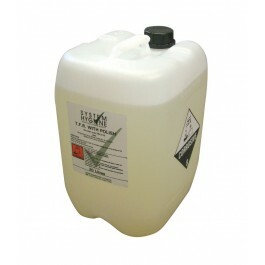 Also available in smaller 5ltr containers. Dilute with water according to the area to be cleaned. 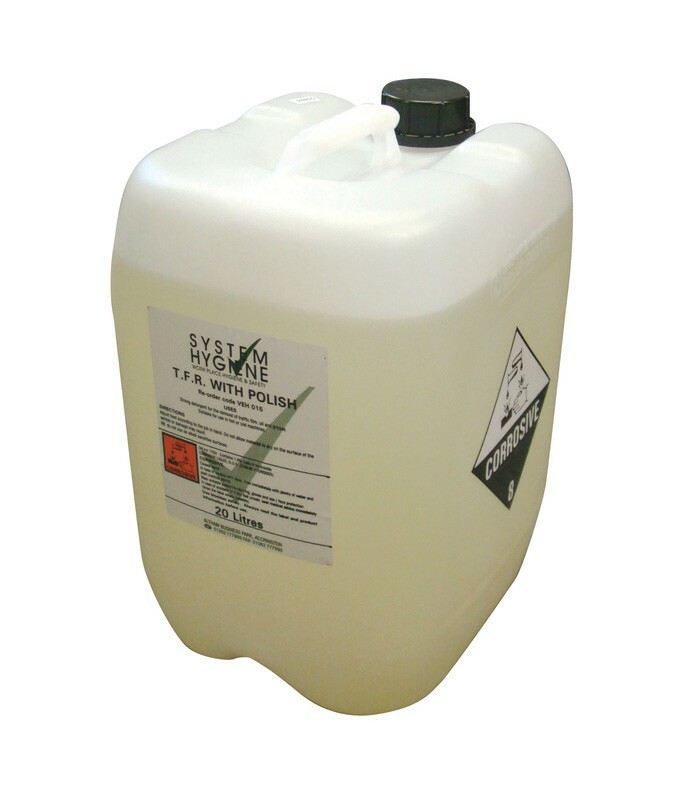 Pre-dilute the chemical before adding it to the detergent feed tank of the pressure washer. Adjust the detergent feed rate to achieve the cleaning action required. Apply to the surface required using the pressure washer equipment, and then rinse off immediatley with plenty of fresh, clean water. Please Note - Do not allow Traffic Film Remover with Polish to dry on to the surface as staining may result. Do not use on aluminium.